Removing SD card from Mac safely can lengthen the odds of data loss and card corruption. Not? 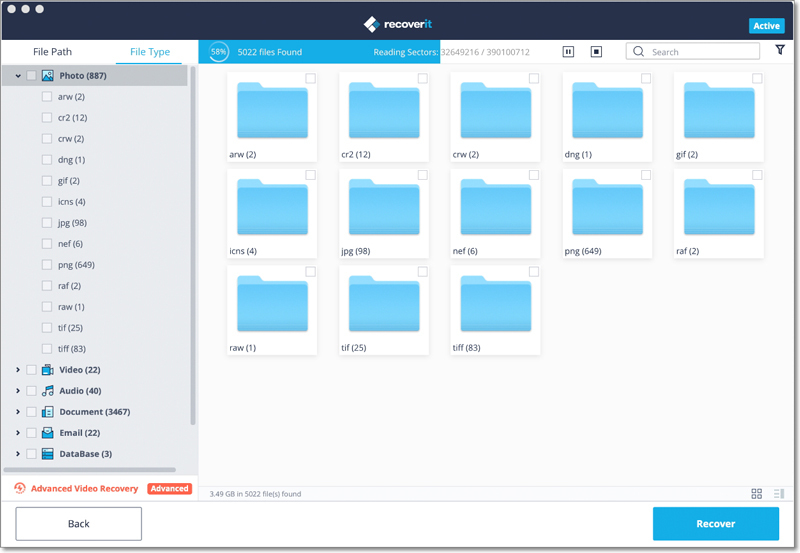 Recoverit tells you how to recover lost files from SD card on Mac and avoid data loss. It can always happen that you delete important data files from an SD card accidentally. Also, a damaged SD memory card can cause a data corruption. But don't worry, the good news is that you can get a powerful SD Card Recovery Software to help you get all deleted files back. In case your data files get overwritten, the first thing you need to do is to stop using your SD memory card. Do not save any new data on the SD card any more. If your SD memory card used in Android phone or digital camera, you need take out it from the devices. How do I recover SD card on Mac? Next, we will introduce the best SD card data recovery for you, and offer the specific steps to help you get deleted or lost data from an SD card on Mac. When your files get lost from an SD card, they are not gone forever. Instead, the files are stored on the device in an invisible way. If you want to access and restore them, just get a trustworthy data recovery program for you. 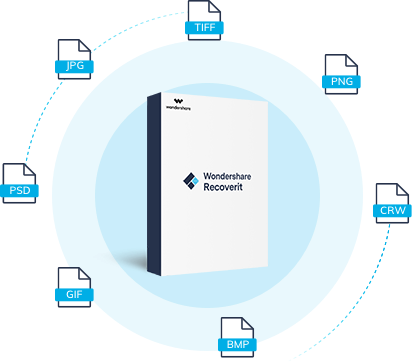 Here, we prefer the product from Wondershare Recoverit. Recoverit Data Recovery is a reliable SD card recovery program that allows you to perform Mac data recovery process on both Windows and Mac platforms, especially the SD card data recovery. It helps you to recover 1000+ types and formats of data, including the SD card photos, videos, audios and many more files. Regardless of the types and models of SD card you use, it does recover deleted or lost data from SD card on Mac. Sony, SanDisk and Lexar SD cards are no exception. It also supports a wide range of SD cards, such as, MicroSD card, SDHC, SDXC, CF card, xD card, MMC card, memory stick etc. To meet different needs of storing data on different devices, the filesystem varies, for example, APFS, HFS+, FAT (FAT16, FAT32), exFAT, NTFS, etc. But the compability is one of the issues for different filesystems. Well, take it easy! The SD card recovery software can help you out, if you find data lost. Recover data from an SD memory card on MacBook easily, effectively, safely and completely. Recover data from SD card due to deletion, formatted memory card, formatting or virus attack. Recover any data and files like photos, video and audios from SD card with a 96% success rate. 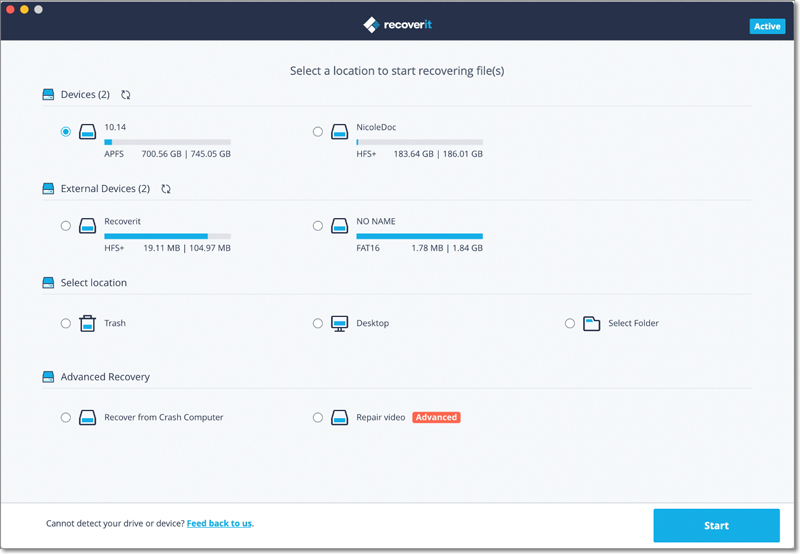 Download and install Recoverit SD Card Recovery software on your computer. 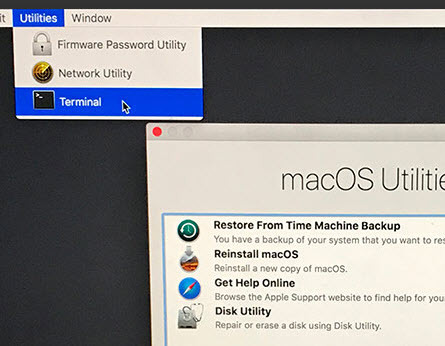 Connect your SD card to the Mac computer and follow the nest steps to recover SD card on Mac. If you are using Windows computer, you can follow the guide how to recover lost data from SD card on Windows computer. To recover files from SD card, go to select your SD card which listed on the "External Devices" section and click "Start". Please make sure your SD memory card has been connected to the Mac computer with a card reader and can be detected. Next, it will start scanning your SD card. It will take a while to search the SD card for your lost, deleted or formatted data files. After the scan completes, you can check all recoverable data files like photos. 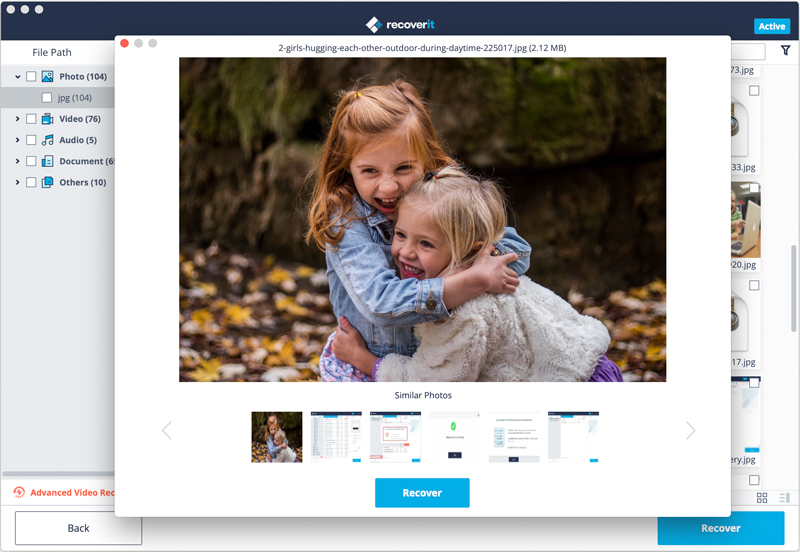 You can preview some recoverable photo files, select your data and click "Recover" button to retrieve them back. Note: Don't save the recovered files on your SD Card which get deleted or damaged. Save all files on your computer hard drive or get a save external device. In case of another data loss from SD card in the future, it is strongly suggested that you should take the following simple measures in your daily life. SD Card like MicroSD is the most popular external storage media used in Android phone, digital camera, camcorder, tablet and other devices. Get to know more about the symptoms of damaged or corrupted SD card, you may to avoid data loss or unintentional deletion. But the most important thing is that you should make your data files backup regularly. 'Read / Write error on SD card' while you try to read the memory card through a system. In order to protect your data on the SD card against corruption and loss, you need to always remove your SD card from Mac in a safe way. So, how do you eject a memory card from a Mac safely? 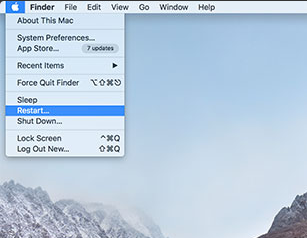 Drag the SD card device to the Trash on the Mac. Once you find the icon on the behalf of the memory card disappears, you can eject the card from Mac without damaging it. Don't interrupt the data transfer. Before you remove the SD card from Mac computer, you should wait until the process of transferring data completes. When your Mac is in the sleeping mode, don't eject the SD memory card. Wake up the computer first and then you can unplug the card safely. The same. If you want to remove the SD card from external devices like digital camera and cell phone, you shouldn't do it during the data transfer. Take the measures to rescue your data. If not, get Recoverit Data Recovery for Mac software immediately. With it, you can easily get your data back in 3 steps. It also supports to recover any data files from any device like computer hard drive, digital camera, USB flash drive and other storage media. Download and try it for free now. Step 1Reboot the Mac and hold down "Command + R" keys simultaneously after you hear the startup chime, this will boot OS X into Recovery Mode. | Resources | Memory Card Recovery | How can I recover data from my SD Card on my Mac?